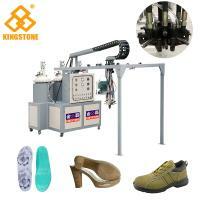 Semi-automatic PU machine, need people to operate to pour the pu material into the mould, and take the shoes from mold. 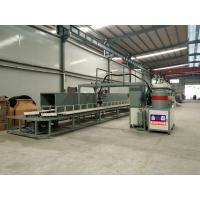 Polyurethane Manufacturing Equipment for various kinds of polyurethane foam making: Polyurethane Rigid Foam, Polyurethane semi-rigid foam, Polyurethane flexible foam, PU integral skin, PU microcellular foam. 2. 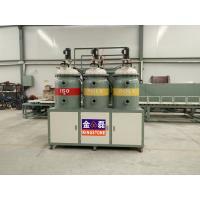 High precision self cleaning high-pressure mixing head, high pressure injection, impingement mixing, extremely high mixing uniformity, no scrap, free cleaning and maintenance. 4. It adopts needle-valve mixed nozzle, rotating speed can reach 8600 rpm.saving material, decrease wash times, increase productivity, improve product quality and reduce production cost. 5. Raw material tank has double layer heat preservation, ensure the material in constant temperature during production which will save energy and power. *Note: Above data only for reference. 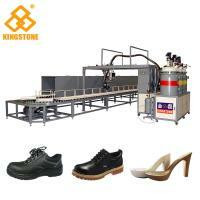 Yes, we are manufacturer for shoe making machine and shoe mold. Welcome to visit our factory! 2. What do you think of the quality of your machine? The boss start machine business many years, so he know the quality for machine is very important. 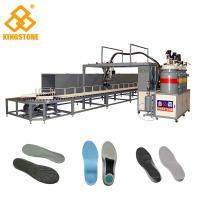 From Kingstone Machinery Beginning, we stressed the high quality of machine to win a good reputation. We are confident with our machine. 3. What's the price of your machine? The price of our machine is not lowest, but competitive. We stress the machine quality, so the spare parts of our machine is made from international brand. With it, we keep high quality and competitive price. 4. Can you provide the machine detailed information and video? 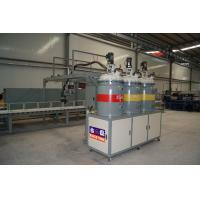 Yes, we can provide the detailed information of machine and video to you if you want it. 5. Can we see the machine working while I come your factory? 6. What do you think the different between your machine with other machines? First, the spare parts is different. Ours is made from international brand, others is made from domestic factory. The function has a big different. That is why other machines can provide lower price. Second, the conformation of the machine. According to the height of people, we adjust the height of the machine, now it's convenient to put the mold and take the shoes from the mold for everyone. Third, the performance of the machine. 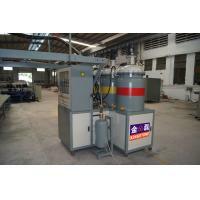 Previous machine will waste some materials in the working process. Now we make changes and reduce this kind of waste. It will help our customers to reduce the cost. 7. How about the delivery time? The delivery time is about 30-45 days. Because we need arrange production line, and after finished, we need test the machine some days. 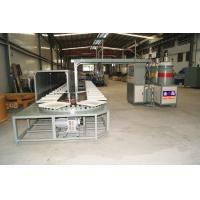 If you are urgently, we can try our best to arrange the production. 8. Will your company will send the technical workers to my factory? Yes, we will send our technical workers to your factory and install the machine and teach your workers how to operate the machine. 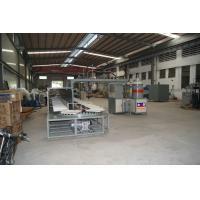 But your factory need arrange the living and food.